Beth Ostdiek Smith has quickly become an expert at turning excess into impact. 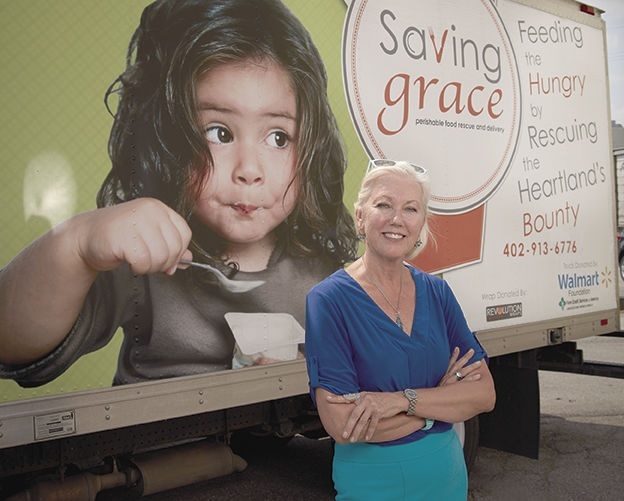 Four years later, the non-profit Beth founded, Saving Grace Perishable Food Rescue, partners with about three dozen businesses (including grocery stores, event venues and restaurants) to “rescue” their leftover food and channel it, free of charge, to almost 30 nonprofit agencies. They, in turn, use the donated dairy products, produce, meat and packaged meals to feed their clients. 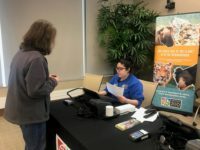 “We get to work with such great organizations that now can provide healthy food for the people they serve and shift more money to programs that address the systemic reason why people are there in the first place,” Beth says. A 25-year veteran of the travel industry, Beth transitioned to the nonprofit arena in the early 2000s, first immersing herself in Jerry and Cookie Hoberman’s Winners Circle, an elementary achievement and incentive program that ultimately merged into Partnership 4 Kids (P4K). After 10 years with Winners Circle/P4K, she “had an inkling” to do something different and found fresh inspiration in a program called Waste Not Arizona. Its mission resonated, given her experience in the inner city and the food waste she had witnessed throughout her career – in the travel industry at big events, at various conferences, even in school cafeterias. Plus, she knew the alarming statistics in her own backyard: one in five children goes to bed hungry every night in the Greater Omaha area. So Beth stepped up. To date, Saving Grace has re-directed more than 1.7 million pounds of perishable food – bound for the landfill – to the plates of the less fortunate. The agency, which is funded in part by a Blue Cross and Blue Shield of Nebraska grant, utilizes two refrigerated trucks (with a third on the horizon), a veteran field and logistics director named Judy Rydberg, and a team of professional drivers who are also licensed food handlers. Any 501 c (3) – from pantries and shelters to after-school programs and senior centers – can apply to be a Saving Grace food recipient. Beth hopes to see less waste – and more impact and awareness-raising – in the future. “There is so much more out there that we haven’t even tapped into,” she says. For now, she says it is rewarding to know the community “gets it” and wants to be involved.